In 1997, my life was in the middle of major changes when I saw that an old musical favorite of mine was coming to town to sign copies of a book that he had co-authored with his wife. I knew virtually nothing about this book, but what I did know was how at various points in my life his music had offered a soundtrack for the emotions and struggles that I had experienced particularly in my 20’s and early 30’s and something in me felt a need to go to his book signing. If you’ve been reading my blog for long you already know that storytelling is so throughly a part of who I am that the idea that I might wait in line at a bookstore to have my newly purchased book autographed without mentioning the significance of his music and then quietly slip away was not even in the realm of possibility. As I stepped up to meet him with a long line of people at my back, I considered how I might communicate the importance one song in particular had for me during my divorce from my daughter’s father and how I had listened to it over and over hanging on to the words like a life raft when I felt as if I might drown in all the sadness and disappointment I felt in myself and my failures. Although very few of us are entirely responsible for the end of a marriage, for a while I believed that burden was all mine and I cried my way through years of pain that while unrelated in some ways surfaced during the final days and weeks of my marriage. I wanted more for a child of mine than two parents living separate lives shuttling back and forth between two houses and I struggled with keeping my own childhood sorrows from overshadowing my need to ensure that she felt safe and loved. It was during this time while dressing for work one morning that I saw Kenny Loggins sing a song on a morning television show and listened as the words in his song mirrored my own experience. I remember stopping what I was doing at the time and just sitting as I watched … feeling for the first time that maybe things would be alright. The words in his song echoed exactly what I had been feeling and later I listened as he talked about the changes in his life and the joy that was now present. His song had given me hope and a bit of solace back then and made me see that I was not alone in my sad experience and I as I stood there waiting I thought, I’m going to tell him. For a moment I considered, what if he thinks I’m silly, stupid, or God forbid, groupie-ish, but in the end I decided to share the importance hearing that particular song had for me during a time of crisis. What you see in the photograph below is me telling him my story. I had given my camera to the woman behind me to take my picture with him and as I was talking I knelt down for a minute so my position shifted from what you see here. I told him of that morning only a few years earlier and how the message in his song had provided a starting place for healing and a form of forgiveness that I while I was still working on for myself, was slowly coming together after years of not trusting my own voice and my own sense that my feelings and dreams were just as valuable as those who wanted to be in relationship with me. As I told him my story, his eyes began to tear up … filling close to overflowing while we spoke and not because of the sadness in my story, but I believe now having read his book, because of the similarity. I think he was touched by my story because he had lived parts of it himself, different in ways to mine certainly, but the same at the core. The woman who followed me in line brought my camera to me after having her book autographed and said, ” You made him cry … what did you say to him? ” Without going into my whole story, I told her that I just shared an important moment in my life and how one song had made a difference. Having taken a risk to share something so special to me, I can’t tell you how pleased I was that it was received in the way I had intended. There’s a release that comes in speaking your truth. It doesn’t need to be public or released in a song as has often been his way, but sharing your story can be a gift to someone who just might need the message in your own experience. Most of us do this everyday never really knowing the impact our words may have. I’ve been speaking my truth here at GOTJ for the last 24 months. Today marks two years since I wrote my first blog post at giftsofthejourney.com where my first 82 posts still live. In February of 2009, I moved GOTJ to this WordPress account and during the last two years the combined total of 338 posts have garnered 76,853 page views and the kind and generous comments of many of you likely reading this today. I want to take a minute to thank you for including my words and images in your daily life. Even though I don’t always have a chance to respond on the comments left here, please know that they are so appreciated and mean a great deal to me. Quite often as you’ve shared bits of your own story in response to something I’ve written I have been moved to tears as Kenny Loggins was that day and I am always grateful whenever my story connects in some useful way with your own. I’m not sure what Kenny Loggins was writing in everyone else’s book, but he could not have picked better words for me personally than those two you see at the bottom of the page,” Trust Love.” I frequently tell people that I could not have imagined that I would ever have the life I have now, but you all know my story if you’ve been reading GOTJ for long. Trusting love is what brought me to this sweet life with John and the awareness that change had its own gifts to offer led me to create Gifts Of The Journey and a chance to share the experience with anyone interested in their own gifts and their own journey. My thanks to each of you who through Gifts of the Journey are now a part of mine. 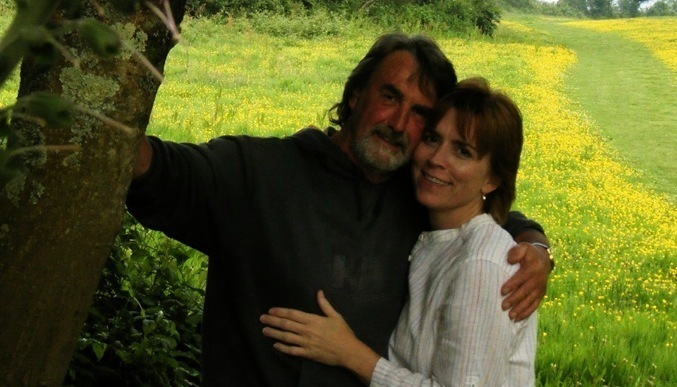 This entry was posted in Adventure, Bloggers, Choices, Family, Love, Memories, One Word - Encourage, Unexplainable, Writing and tagged Appreciation, Blogging, Blogiversary, Elizabeth Harper, Gifts Of The Journey, Gratitude, John Winchurch, Kenny Loggins, Trusting Love, Why I Blog. Bookmark the permalink. Wow, what a great story. It’s ironic, since I was in Kroger yesterday dashing around madly trying to buy groceries and get home before the air conditioner repairman came, and I heard an old song by Kenny Loggins that made me cry, right there in Kroger. It’s called For the First Time – here’s a video http://www.youtube.com/watch?v=xcGUqWZvNm8%5D The lyrics reminded me so much of the first time I met my children. I’m crying right now, listening to the song. Divorce is worse than death, they say, in terms of grief. Having a child must make it 100 times harder. Bless you for sharing your journey here. I am so glad you found real love in your life. Congratulations on your 2nd anniversary blogging. I always enjoy reading what you have written and enjoy the photos so much. There have been many times in my life where a song has spoken to me and echoed my own feelings at the time. Music is a great joy. I am very glad for you. I think I know what you mean from my own life experiences and from what you say. I hope that like yourself I also get found by a soulmate, but if not I remain humbled from reading so many bloggers who blog with truth and humility which together with music and the arts is comforting. So beautifully written. Such wonderful words of healing and hope. 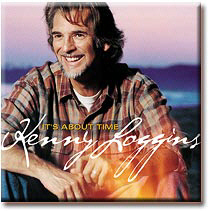 Kenny Loggins is one of my favorites as well. OH, boy. Now I don’t tell a tale as fluidly as you have on GOTJ, but I too would feel the need to relay such a link to someone I have felt encouraged by and I know I would have done the same. What a good picture too. What song was it, if I may ask? I do like Kenny Loggins, but one of his songs that struck a cord in me, in college, was “Amanda”. It still makes me tear up. I appreciate you sharing that story and knowing your own special love story, too. Thank you for inviting us in your life and being a friend. And that last pic of you and John is simply awesome and says so much about your love. Thank you for such a warm and inspirational post. Although I have not gone through a divorce I know through different struggles how music has touched my life – at times the words seemed to speak directly to me too. What a blessing it is to meet the person whose words and song touched you at the exact time you needed. I thank God for turning points in our lives that lead us to our healing. For me, it was Jesus Words, spoken through a man of God saying, “Jesus takes the place of the ones we lose”. This was spoken to me exactly one week after my father (age 51) died of a massive cardiac arrest. This began my journey to healing from grief… then from much pain from my past. God uses people in our lives to touch us right when we need it…. for you it was Kenny Loggins song… what a great blessing! And thanks reciprocated to you, for your encouragement and opportunity to encourage you and others in turn, made possible through Gifts Of The Journey. Thanks for sharing that, I think I have 2 songs that are inspirational for me, one is TIME AFTER TIME sung by Cindi Lauper to Miles Davis’ original musica and the other is by an Italian singer Franco Battiato, LA CURA (The Cure). I remember crying to the song after my hubby sent it to me and every time I hear both songs, they make me think of my hubby and I tear up! What an amazing post and tribute to love…all facets of love! I read their book a long time ago…wonderful work and the honesty in their writing was amazing…just catching up with all that I missed while on the road trip. So glad I found your blog via Kelly’s class….you are a natural storyteller!! I love reading your blog and appreciate the fact that you open your heart here. Your love story with John captured me from the very beginning – giving me hope for finding a beautiful and true love of my own someday. Hi Elizabeth, I’m a fellow classmate over on Flying Lessons…I’m so happy to have jumped over to your blog. I love your story, it’s so awesome you got up the nerve to tell him your story. I know if you didn’t you would always be kicking your self wishing you had. May I ask what song it was that inspired you so? I’d love to listen to it and see what you mean by the words. It’s good to ‘meet’ you. This is a beautiful story. I love how people can share a real moment like that, and how universal our paths can be, even when we are so far apart or famous or not… I am happy you share here and tell your story.